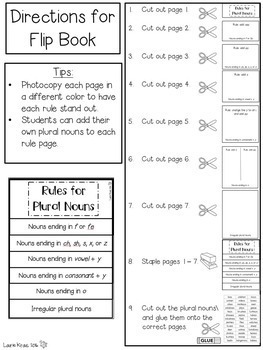 Students will practice and understand the rules of plural nouns with these engaging activities and posters. 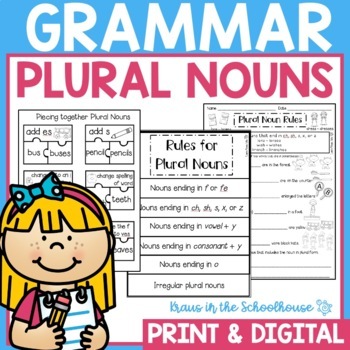 Students will use the rules to identify regular plural nouns and irregular plural nouns. Answer keys and directions are included for easy use. 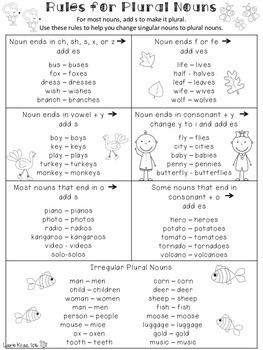 Students will be engaged in activities that will help them learn how to correctly write plural nouns. Please FOLLOW ME to see more products I am creating. If you purchase this product then please provide feedback so you can earn credits to use on future TpT purchases. "Absolutely love this! We just started working on plural nouns and this is PERFECT! Thanks so much!" 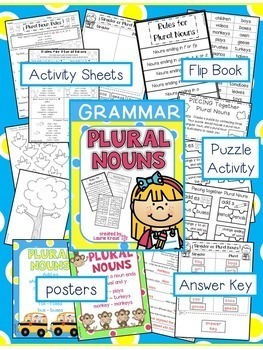 "This activity made teaching how to change singular nouns into plural nouns fun. The children enjoyed it and I did too." "Good for review (for adults too!) :)"